Nobel Laureate Satoshi Ōmura is a world leader in Bioorganic Chemistry, with pioneering and unmatched expertise and success in discovering useful bioactive chemicals derived from naturally-occurring microorganisms. He is also recognized as a leading expert in macrolide antibiotics. 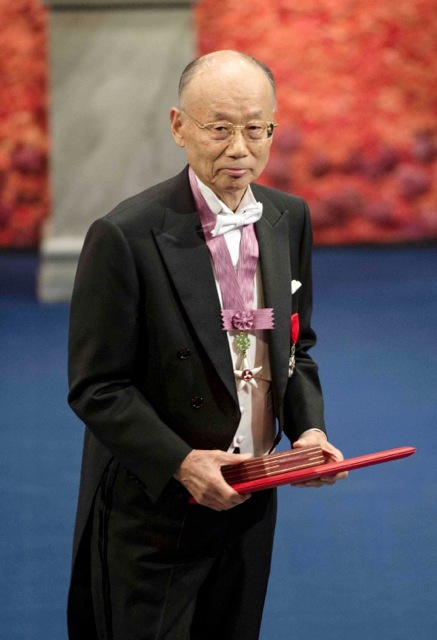 Over his 50-year career, Professor Ōmura has devised many innovative methods for isolating, culturing and screening microbes, discovering almost 500 compounds, many of them novel or unique in structure and function. His pivotal discoveries have served as the forerunners for the statins, novel anticancer compounds and world-leading drugs in animal and human health. Around 26 have contributed significantly to improvements in human health and welfare as well as advancements in scientific knowledge, through their use as medicines, veterinary products, agrochemical agents or as reagents for biochemical research. In addition, more than 100 of the compounds he has discovered have been targeted for synthetic production and have subsequently been instrumental in expediting progress in Organic Chemistry. His creation of hybrid antibiotics opened up a completely new field of highly-promising research. Paramount among the compounds he has unearthed are the avermectins/ivermectins, discovered and developed through a collaborative research program he established with Merck & Co. Inc. (USA). Ivermectin is one of the world's most important animal and human medicines ever produced, one of the foremost public health interventions ever in the developing world, and seen to rival penicillin for its beneficial impact on global health - with over 300 million people using the compound annually to combat a variety of diseases and improve community health and wellbeing. For his leading role in the discovery of the avermectins, he has been awarded the prestigious Gairdner Global Health Award (2014) and the world’s premier scientific accolade, the Nobel Prize in Physiology or Medicine (2015). Professor Ōmura is currently Distinguished Emeritus Professor at Kitasato University (Japan), Max Tishler Professor of Chemistry, Emeritus at Wesleyan University (USA) and Honorary President of Joshibi University of Art & Design (Japan).